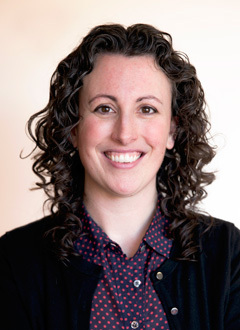 Jennifer Serravallo is the author of New York Times bestseller The Reading Strategies Book as well as other popular Heinemann Professional Books, The Writing Strategies Book; Teaching Reading in Small Groups; Conferring with Readers; and The Literacy Teacher's Playbook, Grades K–2 and Grades 3–6. Her newest book is Understanding Texts & Readers , and in January of 2019, A Teacher's Guide to Reading Conferences will become available as part of the Classroom Essentials series. Also in 2019, Heinemann will publish Complete Comprehension, a curricular resource from Jen that connects the progressions from Understanding Texts & Readers and the teaching in The Reading Strategies Book via a simple, commonsense evaluation technique that helps you analyze responses students write during independent reading that indicate their ability to comprehend whole chapter books or nonfiction books. Additionally, Jen is the author of the On-Demand Courses Strategies in Action: Reading and Writing Methods and Content and Teaching Reading in Small Groups: Matching Methods to Purposes where you can watch dozens of videos of Jen teaching in real classrooms and engage with other educators in a self-guided course. Jen began her career in education as a teacher in Title I schools in NYC and later joined the Teachers College Reading and Writing Project at Columbia University. Through TCRWP, and now as an independent consultant, she has spent over a decade helping teachers across the country to create literacy classrooms where students are joyfully engaged and the the instruction is meaningfully individualized to students' goals.